Bold patterns and colors: Retro styling brings together bold patterns and colors into your home. 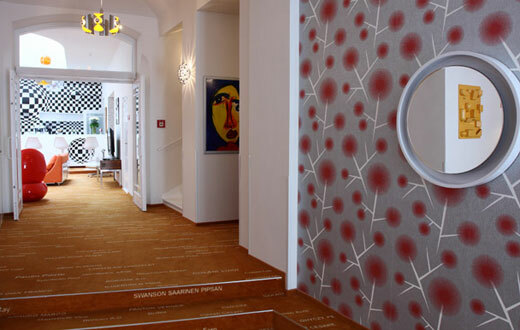 If you enjoy large patterns, try using them on your walls with wallpaper, paint or murals. For the same affect throughout your furniture, consider using bold fabrics and coordinating textiles such as rugs, and window treatments. Try and keep the bold patterns and colors within a few colors for the palette. Too many colors will make your room look scattered, and uninviting. Subtle hints of retro style: If you prefer to bring retro styling into your home more subtly, consider using smaller prints and geometric repetitive patterns. 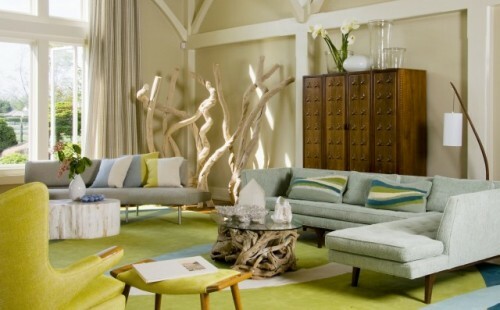 Instead of bold colors, modernize your interiors with pastels and muted variations of the bold. Use patterns in smaller quantities, and infuse neutrals into furnishings, flooring and wall coverings. Mix and match solids and patterns to also play down big and bold retro styling. Retro lines of furniture with modern finishes: Curvilinear and circular forms are classic characteristics of retro furniture. Pair these up with modern leather, wood, and lacquer finished furniture, and the marriage of the two is gorgeous. Scour online classifieds, garage sales and vintage stores that you can reupholster or repurpose old furniture to look new. Replace an outdated fabric with a new and funky colored one. Shop furniture stores that carry retro looking furniture lines, which look old, but are brand new. Sleek modernism: If your decorative style leans more toward modern minimalism, opt for a few retro pieces that have simple curves and lines. Remove large quantities of furniture from your space so the eye can focus on a few focal points of the room. A dining room set, reminiscent of retro design styles, and adorned with a dramatic pendant light can modernize your interiors, instantly. Leave intricate and detailed woodworking for another style. 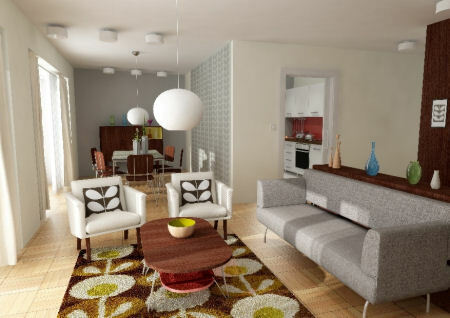 Retro modern style enjoys free forms that are fluid in nature and appeal.